Are sleep disorders and concentration problems linked? Are you having a hard time concentrating on what you are doing? Do you find it difficult to get enough sleep, feel tired all the time and just can’t seem to focus during the day? Sometimes, it seems easier just to carry on and cope, even if you are tired and having trouble concentrating, but this isn’t a long term solution. You may have a sleep disorder. Even though you think you have had enough hours asleep, it might not be the right kind of sleep that is good enough to make you feel refreshed in the morning. When you have Sleep Apnea, Upper Airway Resistance Syndrome (UARS) or other conditions that disturb your sleep it disrupts your normal sleep cycle. Stage four Delta sleep and REM sleep are both important for memory, learning and cognition. These are the first types of sleep that are usually lost. In Children sleep disordered breathing is thought to cause over 80- 95% of ADD and ADHD as well as other behavioral disorders. Early treatment can prevent these problems. Dr Shapira recently lectured in Buenos Aires, Argentina on the common developmental factors of sleep disorders and TMJ. In adults we treat the disorders but in children we can prevent the problems. Early diagnosis is key. Sleep disorders aren’t the kinds of problems you are likely to share as you are never fully aware of them. If you snore or suddenly let out a gasp in the night when your airways are desperate for air, it’s your partner (if you have one) who will typically wake up first. Short Term memory loss frequently accompanies problems with concentration. Poor sleep has been shown to cause this type of memory loss and it can become permaent if you wait to log to treat it. The combination of poor concentration and memory makes it extremely difficult to fisish tasks and often affects school of work performance. If your partner claims you constantly snore or grunt as you try to sleep, you may have a sleeping disorder called sleep apnea. You may have to do something to eliminate your sleep problem so that you can both get an undisturbed night’s sleep and allow you to concentrate more easily, too. 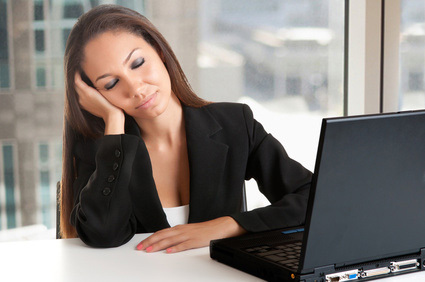 If you have trouble focusing and are constantly tired, a dental solution may be able to help. There are some useful proven appliances available that we can use to help improve your sleep disorder. The most common type of sleep appliance used are the Mandibular Advancement Devices (MAD). They are the most studied and usually the most effective type of appliance. There are over 100 types of Mandibular Advancement Devices (MADs) and Dr Shapira will help you find the best device for your specific disorder. He has treated thousands of patients with sleep disorders over the last 30 years and is an expert in the field. The Tongue Retaining Device (TRD), is an older alternative to the MAD which is made in a lab from a material which can easily be adapted to the teeth’s contours and dental arches. It is sometimes the ideal choice for denture patients who do not have teeth to secure a MAD. The tongue often blocks the airway, so a TRD can help solve that as do advancement devices. The TAP appliance is one of the most effective appliances for treating sleep apnea and snoring. It is usually the first choice when patients have severe sleep apnea. Other comfortable appliances include the Somnomed and Respire appliances, The SUAD, the Telescopic Herbst and other types of Herbst appliances. If you can’t concentrate easily in the day time and are constantly tired but have tried without success to find a solution, we may be able to help you eliminate a potential sleep disorder with one of our dental devices. When you are able to sleep more easily, you should be able to get your focus back. Patients with untreated sleep apnea have a 600% increase in motor vehicle accidents and a recent study showed an increase of 1500%. Even mild apnea with no symptoms of tiredness has been shown to cause 300% increase in motor vehicle accidents (MVAs) with serious injury to one or more people.